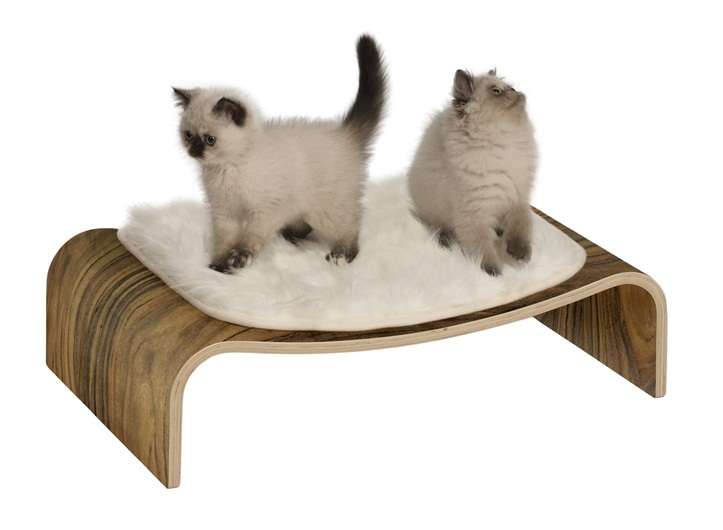 Made from stylish shaped wood, the V-Lounge provides cats with an elegant place to rest. 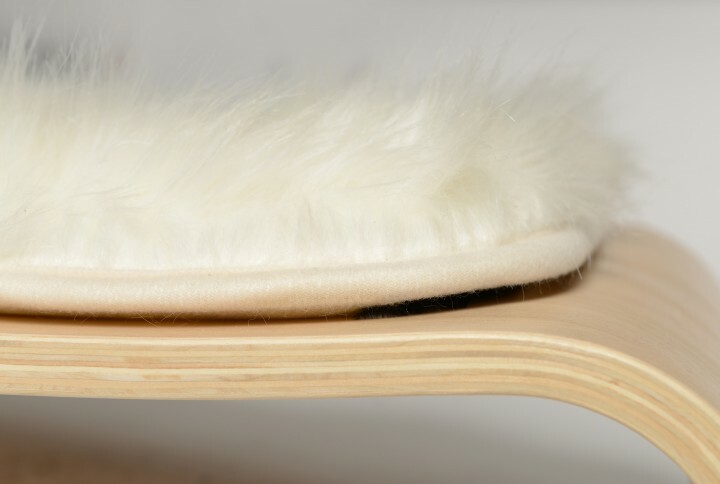 Cats, as well for as small dogs, Will love the soft cushion made from faux fur. >Shaped poplar wood and walnut veneer. >Soft memory foam cushion and soft white faux fur. >Also suitable for small dogs.